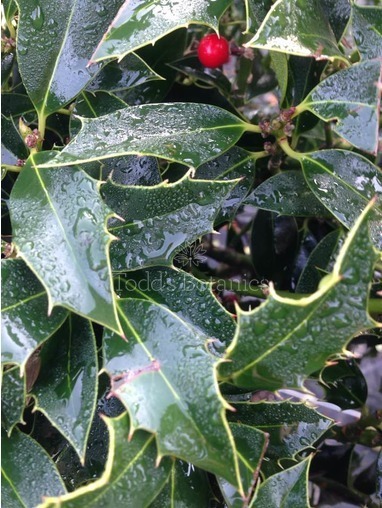 Ilex aquifolium 'Golden Van Tol' is a top seller at Todd's Botanics, it is a truly stunning holly with many qualities. 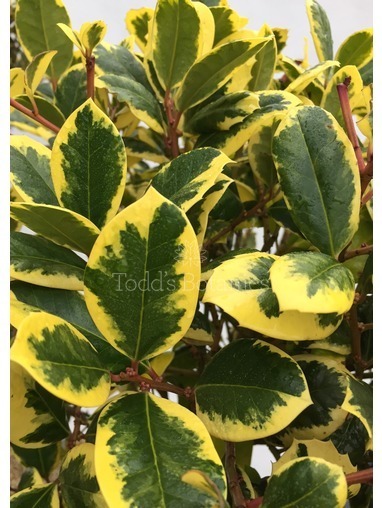 The van Tol cultivars are self fertile so will produce lovely red berries in winter, which is a wonderful contrast to the golden variegation. 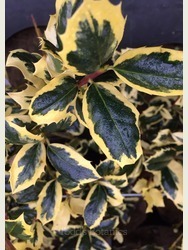 'Golden van Tol' has broad gossy leaves which have fairly smooth edges, so no spikes - this makes trimming to shape a lot more pleasant! 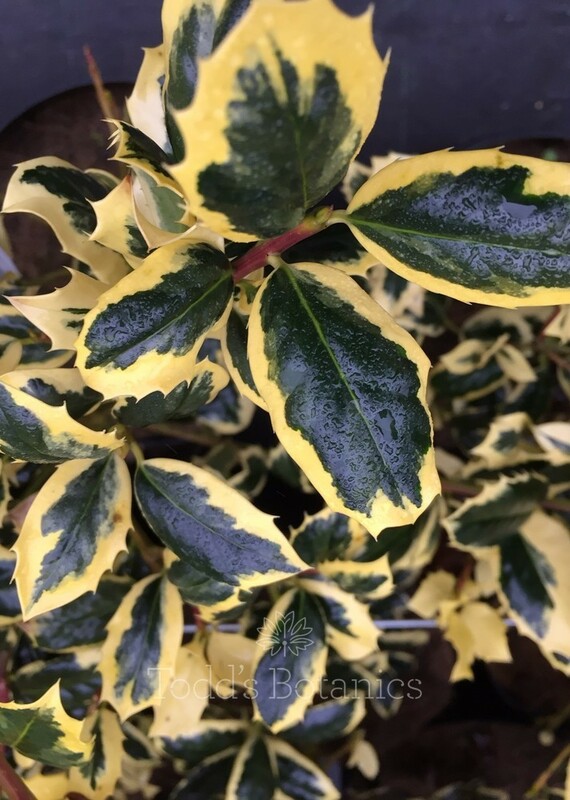 Hollies will grow well in either shade or sun and a variegated holly will really brighten up a dark corner or that difficult space. If it is planted in a pot then it can be also placed in that tricky dry/shady spot that you are always struggling with, all you will have to do is remember to water it! 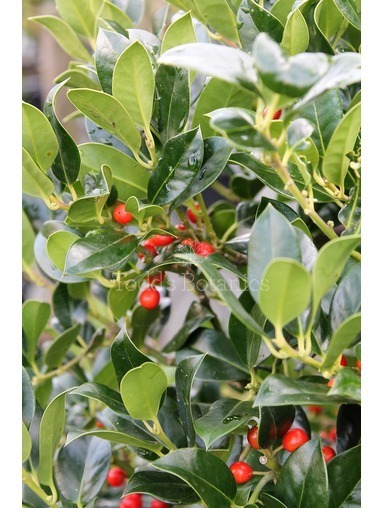 Saying that though hollies will actually grow in very dry areas once they are established and they have their roots down.